Last year Lulu switched rooms but the new room is furnished with everything from when I shot her nursery here, so I haven't posted any new photos of it. 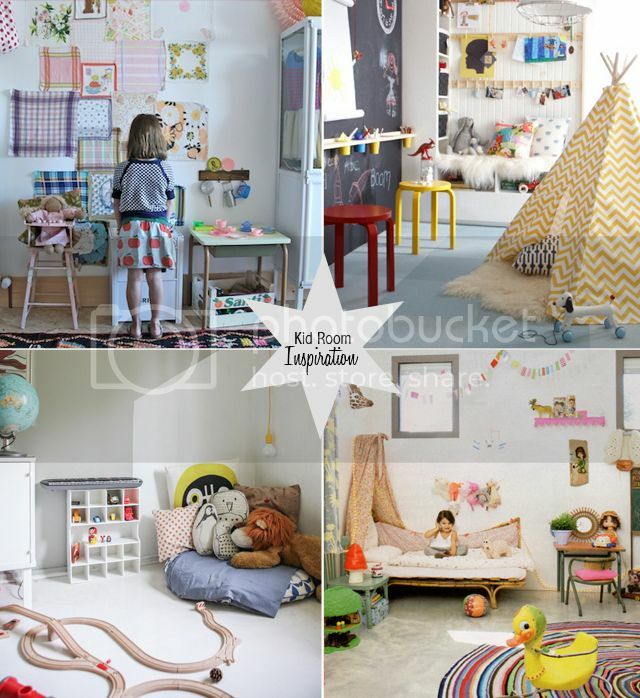 I'd love to re-do Lulu's room every other year, though it'd be terribly wasteful, environmentally speaking, so I'll just have to ease the urge by looking at other kid's rooms on pinterest. Below are a few that I have loved lately. Which is your favourite? 4. Bunting, tree house and duck on Turbulences Deco - My friend had a tree house like that when we were kids and I thought it was so cool!